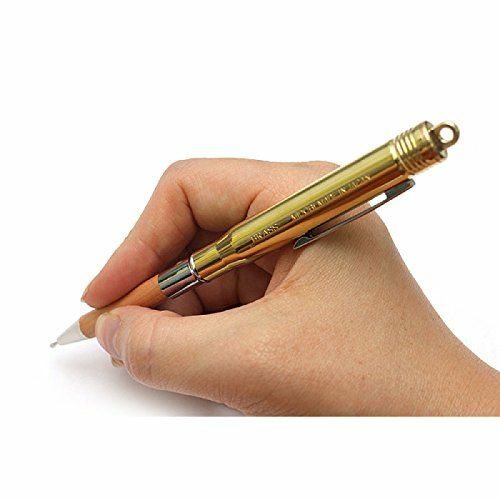 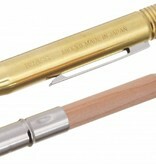 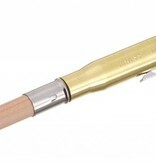 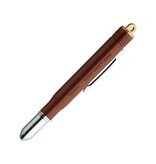 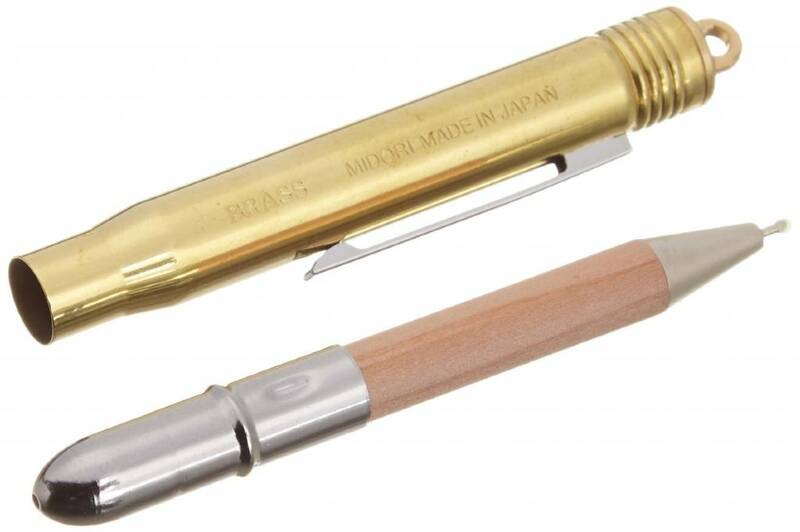 This Midori Brass Pen Brown Paint is made of solid brass and then covered in brown paint. 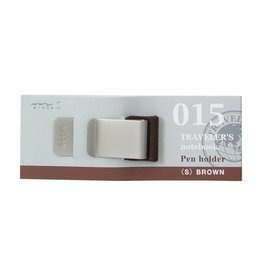 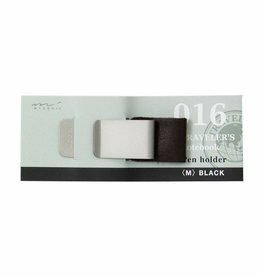 This item also carries the "aging well"-signature, as with your use, the white paint may scratch, bump or whatever, revealing the solid brass underlay in a delicate and subtle way. 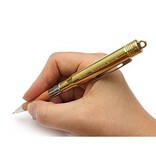 Over time, you will see more of the brass, resulting in a very personal item.